Photography can sometimes appear to be more about the merits of a project than the merits of the photographs therein. Projects have a beginning, middle, and end. Once you’ve photographed all the rooftops of Matera, you’re done. In this workshop, we return to the photograph, trusting that lifetime visions take shape, not from the content of our images, but from the way we see the world, the way we photograph those rooftops. Charles Marville’s eternally proud Parisian lampposts of the 1880s, like Ansel Adams’ towering half domes from the 1920s, or Sally Mann’s southern liquidity in just about everything she photographs today, are all part of the patina that makes their visions singular, unique, never to dim or fade away. It’s out of pathways that lifetime visions emerge. Works from one year can hang beside those made in another. The process starts with a single image (or a group of images) to which is added a second image (to test connectivity), followed by a third image (to reveal the pathway). It’s called the Power of Three and requires making every image different and yet keeping everything essentially the same. Students will have a chance to introduce their work to the class whenever they deem best. Non-obligatory, entirely unique assignment concepts that have stood the test of time are presented throughout the week, a kind of well from which to refresh your thinking and seeing. We’ll start early every day, just after a few first light images are nailed and a delicious breakfast has been enjoyed. Discussion will be led by the teacher but also by the students and by the images themselves. Afternoons are devoted to individual meetings and independent shooting. Mid-week, a thing called Stop and Shoot, takes us on walking tour to all compass points of the city. Directions are determined by the flip of a coin, giving chance a possibility to collaborate in the development of your pathway. Friday we’ll anchor your accomplishments with solid reasons why what works needs to continue as a lifetime pathway emerges with more possibility for success than perhaps ever before. Your Matera journal of doodles, quotes, notes, and ideas will be yet another treasure, like your new work, to wow the crowd back home. Years ago, walking in the cobbled streets of the old part of town, I was thinking of how much Arno would have loved this place…to the point that – any moment – I was expecting Arno to appear from the stones (this old section of town is called “Sassi”, stones…). It would have been his ideal territory for taking some of his incredible, out-of-time photographs. In 2019, Matera will be the Cultural Capital of Europe, meaning that throughout the year creative cultural events will take place in the city and surrounding area. So, I talked with Arno, and…why not?!? Perfect place, perfect time… It’ll be an amazing workshop! So, save the date! Matera is among the oldest, continuously inhabited cities of the world, filled with a group of connected caves providing shelter to its residents since the 10th millennium BC. Its historical center, “Sassi“, along with the Park of the Rupestrian Churches, has been named a World Heritage Site by UNESCO since 1993. The Sassi originated as a prehistoric troglodyte (cave dweller) settlement, thought to be among the first human settlements in what is now Italy. Sassi habitations were dug into the calcareous rock itself, a characteristic of Basilicata and Apulia. Many of the caverns are really little more than hovels, and in some parts, you can see streets lying on top of one another. As a society living in poverty, malaria was rife, and families lived alongside their animals within the caves as recently as the 1950s when the Italian government used force to relocate most of the Sassi population to other areas of the newer developing city. Until the late 1980s however, the Sassi was still an area of abject poverty, many dwellings to this day still considered uninhabitable. Unknown to most Italians, Matera is now living a second life. Less than 70 years ago some 15,000 people, mostly peasants and farmers, were still living in grottoes carved out of limestone that dated back to Matera’s prehistoric era: dank dwellings with no natural light, ventilation, running water or electricity. People were forced out of their homes by a state law. But the younger generation, in awe of the dwellings perched on the edge of a steep ravine, saw an opportunity. The winning idea was to bring the caves back to life, and in 1986 a law was passed to move people back in. Today, the local authorities are much more tourist-oriented and together with the aid of the Italian government, UNESCO, and Hollywood, have been promoting the regeneration of the Sassi with many thriving businesses, pubs, and hotels. Now Matera is a tourist dream with people coming here to stay in some of the new boutique hotels, taking long walks, exploring the caves, climbing the stairs from one piazza to the other, and enjoying the quality of the local food and vines in all the nearby restaurants. Anyone who sees Matera cannot help but be awe-struck, so expressive and touching is its sorrowful beauty. Arno Rafael Minkkinen is a Finnish American photographer, educator, curator, and writer with over 200 one-person and group exhibitions at galleries and museums worldwide. His monograph exhibition titled SAGA: The Journey of Arno Rafael Minkkinen, Thirty-Five Years of Photographs (Chronicle Books, 2005) traveled from New England to Eastern Europe, Finland, Italy, Canada, and China. Other books include: Frostbite (1978); Waterline (1994 Grand Prix du Livre at the 25th Rencontres d’Arles); Body Land (1997); Homework: The Finnish Photographs (2008); and Balanced Equation (2010). A forthcoming publication of 50 years of his unmanipulated self-portrait works will be launched in 2019 through Kehrer Verlag in Heidelberg, Germany. Many important collections of Minkkinen’s work include the Musée d’art moderne and the Georges Pompidou Centre in Paris, the Musée de l’Élysée in Lausanne, the Contemporary Art Museum Kiasma in Helsinki, the Museum of Contemporary Art in Zagreb, the Addison Gallery of American Art in Massachusetts, the Center for Creative Photography in Arizona, the Museum of Fine Arts Boston, the Museum of Fine Arts Houston, the Museum of Modern Art in New York, the Nelson Atkins Museum of Art in Kansas City, Missouri, and the Tokyo Metropolitan Museum of Photography. Recipient of grants from the National Endowment for the Arts and the Massachusetts Cultural Council, Minkkinen was awarded the Order of the Lion First Class Medal from the Finnish Government in 1993, the 25th Rencontres d’Arles Book Prize for Waterline in 1994, the 2006 Finnish State Art Prize in Photography, the 2013 Lucie Award for Achievement in Fine Art, and the John Simon Guggenheim Foundation Fellowship in 2015. On December 6th, 2017, the 100th Anniversary of Finnish Independence, Minkkinen received the Pro Finlandia Medal, the nation’s highest honour in the cultural arts. 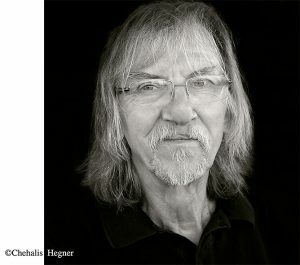 And on the teaching front, Minkkinen will be the recipient of the Society for Photographic Education’s 2019 Honored Educator Award, SPE’s highest distinction to be conferred at the Cleveland National Conference in March 2019. If you are flying, the best way is to fly to Bari (connected with major Italian and European ciies) and then take a bus to Matera, aprox 70 minutes ride. Hotels, B&B and also AirBnb accommodation will be pretty busy due to the visitors expected in 2019. However, we have already blocked a whole B&B for some of us, rooms will be assigned on a fist-sign up basis. It will also serve as a meeting point. If you decided to join the workshop and need accommodation, please let us know and we will put you in touch with the B&B. As soon as these first rooms are taken, we can provide more in a similar structure in the same area. Matera is not big, but due to its city plan there’s a lot of walking to do, with many stairs. So, if we are staying in the same area, it will be easier to walk from your place to out meeting point. The ideal is to stay in the same hotel or, if not possible, the same area. During the day, we will probably be out wondering around the city, working on our projects, so participants will be responsible for finding their own lunch. In the evenings, according to TPW tradition, it will be nice to meet for dinner, and share the stories and experiences of the day. Meals and lodging costs are not included and will be paid separately. Bring your laptop, with everything that goes with it: cables, chargers, card readers, and your photo equipment. Bring an extra body, in case something happens to your camera, and we suggest bringing the minimum amount of lenses. Consider an external hard disk to make a back up of your daily shooting.